It’s still raining when we wake up. I hear the crackling of Cracker Jack’s Neoair, but no singing. I call over to him that’ll make some coffee. Moods swing up slightly. Before this can happen, I have to sign a contract, go to the office, use the woods without delay. Things have taken a definite shift towards the WTF? Frothy, mustard-yellow, and super foul. I know what’s happening. I have Giardia. At least we’re heading into town. Coffee probably isn’t the best idea, but I drink it any way. Cracker Jack plays his Spotify 300 top hits of all time. It’s starting to grow on me. We pack up and head the short 9 miles to Skykomish. The trail is a muddy river and I have to pay attention not to lose my footing. Just 6 more miles…. I stop to take a photo. I turn back to the trail and slip. I put my right hand down to catch myself, but my hand slips too. Why is my thumb down by my wrist?! Pain. Swelling. More pain. Breathe. I put my hand in the pond that I’m standing next to. Can I bend it at all? Slightly. 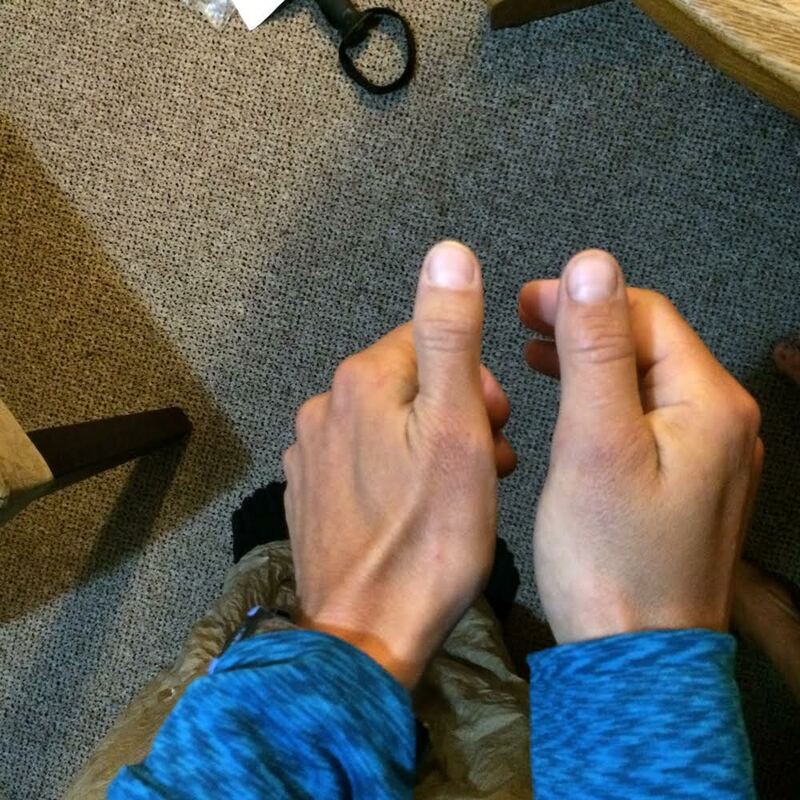 It’s very swollen. I take it out of the water. With my left hand, I open up my pack and dig for my ditty bag. I pull out ibuprofen, arnica cream, and an ace bandage. I administer these things to myself. I can’t close my trekking poles with one hand, so I carry them both in my left and hold my right hand above my heart. I hike uphill for a couple of miles and find Cracker Jack, Think Fast, and Goose Bumps. They take my trekking poles and some of the weight from my pack. We hike on towards Skykomish. I feel awful. Then I have to use the woods one handed. The simple act of taking off my pack becomes a struggle, never mind everything else. Things are devolving. We get to the road and begin hitching. Out from nowhere, PAC Man appears. He’s on his way back to Oregon to work. He likes hiking in the snow and wants to wait out the rain. We watch as he gets a ride heading south. A half hour passes, finally a car stops. Scott, a chimney sweep, has room for me and Cracker Jack. 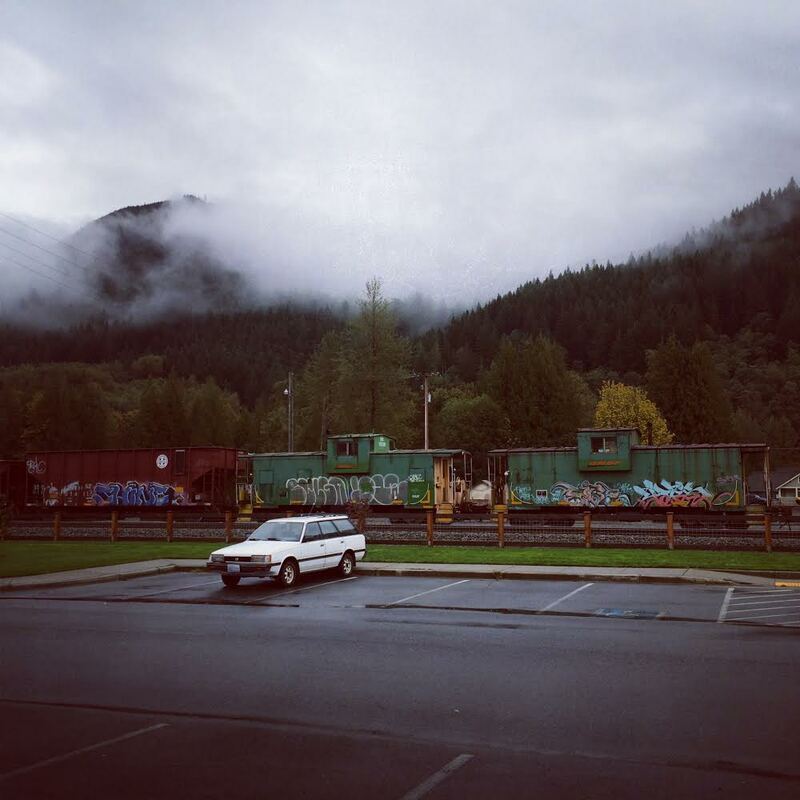 He takes us to the Skykomish Inn. The inn has a cafe attached. We get a table and order food. I take the bandage off and hold the cold glass against it. I Google symptoms. It’s most likely a sprain. I Google my other symptoms. It’s most likely Giardia. I eat and then have to run to the bathroom. Gah. Goosebumps and Think fast arrive. They sit with us and order food. We are all feeling slightly dryer and warmer. I tell them about the Giardia and Goose Bumps magically pulls out a bag of antibiotics meant to cure this exact thing! That’s some trail magic! We get rooms, shower, explode, and lay in bed writing blog posts, content not to be outside in the rain. I’m zeroing tomorrow for sure. 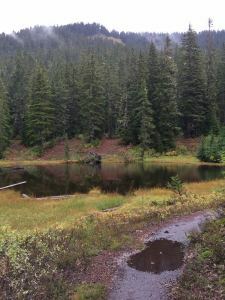 This entry was posted in Transmissions and tagged antibiotics, cracker jack, first aid, Giardia, goose bumps, Hike, Injury, mud, pac man, rain, scott, Skykomish, skykomish inn, spotify, sprain, think fast, town, trail magic, Washington. Bookmark the permalink.